FS Legal has been consulted by individuals who have been advised by Independent Financial Advisers (IFAS) to invest their SIPP pension funds in offshore property investments. Often they were also advised to exit their existing pension arrangements in preference for such investments. We act for the majority of clients who have invested with Harlequin Properties in the Caribbean and Brazil. We have also been instructed to advise clients who have invested in properties in Cape Verde, Italy, The USA and other countries. Such offshore property investments are often unregulated which means they do not have the protection of the Financial Conduct Authority (FCA) if something goes wrong. They may also be high-risk investments. IFAS providing pension advice, however, must be authorised by the FCA. Whenever pension arrangements are transferred, your IFA should assess the benefits you have under your existing scheme and compare those to the benefits and risks of the proposed investment. In the case of unregulated investments, the risk is often higher than that associated with the pre-existing arrangements. Your IFA should assess these risks and ensure that you are properly advised as to the suitability of the new investment being proposed. If they fail to do so then they may be negligent. In that case, you would have a claim against their insurers to recover the entirety of your lost pension funds. We routinely advise clients who find themselves in this position and have successfully recovered funds for many investors. We act on a fully contingent ‘no win no fee’ basis. 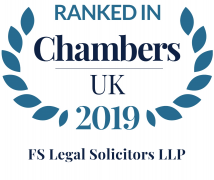 Our Team has also been ranked as a leading law firm by Legal 500 both for Commercial Litigation and Professional Negligence.